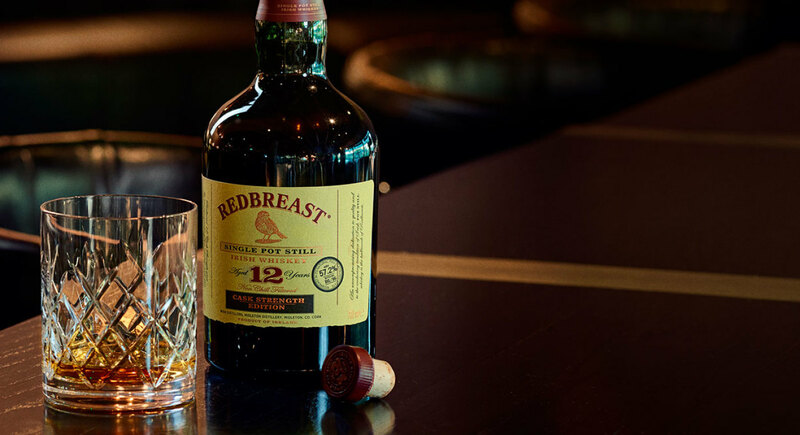 Take the flavors and aromas of Redbreast 12 and crank them all the way up! A fruit explosion; figs, dates, ripe banana, sultana, red apple and lime. Pot Still spices combine with the sweet vanilla and pine from the casks. Deep full dried fruit, a touch of citrus with aromatic oils and spices. Vanilla sweetness leads to toasted oak and barley. Exceedingly long, rich complexity of spices and fruit, slowly fading through sweet butterscotch to barley.